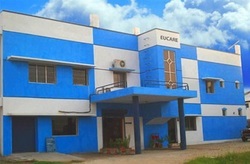 Eucare is soliciting to strengthen its Long-Term partnerships with Established Global Players for Technical Collaboration, Marketing tie-ups & Private Labelling. A True Technology Driven Organization from India with a strong In-house R&D approved by DSIR (Department of Scientific and Industrial Research, Government Of India), processing innovative technologies through Indian National Laboratories is surging ahead with Lasting Partnerships and its just a beginning!! The Company’s infrastructure is designed and constantly upgraded to meet the ever increasing stringent International Regulatory requirements of the Industry which includes the Building, Machinery and Air Handing units as per CGMP norms apart from well equipped Quality Control Testing Laboratory. Microbiology Laboratory, Tissue Culture facility and Research and Development facility are DSIR (Department of Scientific and Industrial Research) recognized. We are a quality centric enterprise and it is nurtured at every stage of production. Our quality policy is designed to improve the long term effectiveness of patient care. A team of experienced scientists aided by modern instruments and stringent technical review systems upholds the quality standards. 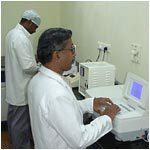 Our scientific expertise is at par with the international standards. We evaluate the all the critical techniques during the scale up of the manufacturing process, to ensure quality output. We have gained a leading position in the Bi-pharmaceutical industry owing to our innovative streak. 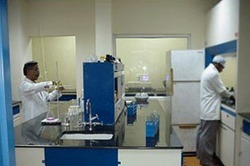 This has been made possible by our well equipped R & D lab that is devoted to continuous research. The department is managed by technical experts and researchers who have a zeal to excel and are highly qualified. We have a long standing and satisfied growing base in India and Abroad. Our innovative and cost effective solutions in the area of Burns, Wound-care, Surgical Homeostasis, and Dental Regeneration have positioned our company as a reliable and quality player. We aspire to stay ahead in the competitive world with more and more technological solutions and services to the suffering mankind. Our backbone is our work team that comprises of a qualified team of engineers and technocrats. Their hard work and rich technical experience enables us in efficiently executing client order. Fueled by the ambition to excel in their sphere of activity, they work closely with the client to completely understand their requirements and offer customized wound healing products.